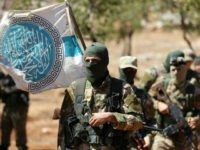 Russia conceded on Wednesday that an al-Qaeda-linked group had nearly attained “full control” of Syria’s Idlib province despite a deal between Moscow and Turkey to push out and disarm the terrorists. 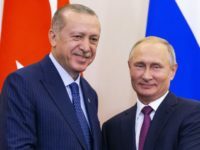 Turkish President Recep Tayyip Erdogan is scheduled to meet and discuss bilateral issues with his Russian counterpart Vladimir Putin on the sidelines of an October 27 summit in Istanbul on the war in Syria, the state-run Anadolu Agency (AA) reported Tuesday, citing a top Russian diplomat. 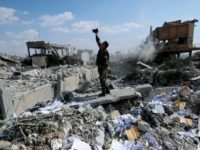 The highest-ranking military officer in the United States military met his Turkish counterpart in Washington, DC, this week to discuss security in Syria’s Manbij area as well as joint efforts to annihilate the resilient Islamic State (ISIS/ISIL) presence in the region, the Pentagon announced. 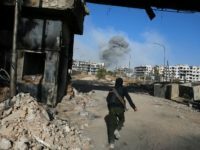 Jihadis in Syria’s Idlib, a stronghold of al-Qaeda-linked terrorists considered one of the international terrorist group’s most potent wings, reportedly failed to meet Monday’s deadline to pull out of a planned demilitarized zone in the country’s last rebel bastion as part of a Russian-Turkish agreement. 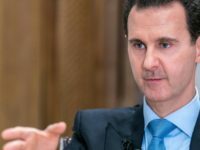 Islamic State (ISIS/ISIL) jihadis threatened to execute more than two dozen women and children it abducted in southwest Syria if dictator Bashar al-Assad does not stop his offensive against rebels in the region Friday. 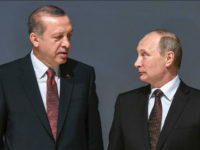 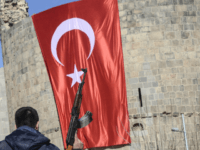 Some experts believe the agreement between Turkey and Russia to establish a demilitarized zone in Syria’s rebel-held Idlib province will delay rather than prevent a battle for control of the region, the Washington Post (WaPo) reported this week. 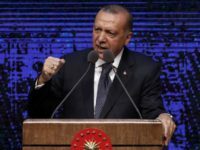 Turkish President Recep Tayyip Erdogan reportedly praised the agreement to establish a demilitarized zone in Syria’s northwestern province of Idlib between Turkey and dictator Bashar al-Assad’s ally Russia as “a step toward peace” on Wednesday. 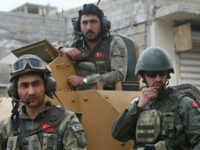 Turkey needs to deploy more troops to Syria’s Idlib province as part of its deal with dictator Bashar al-Assad’s ally Russia to establish a demilitarized zone in the region to separate rebel-held and regime-controlled areas, Turkish Foreign Minister Mevlut Cavusoglu declared on Tuesday. 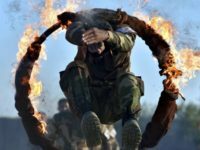 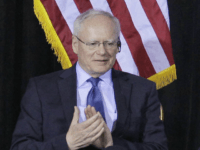 A Syrian rebel commander revealed on Thursday his coalition is conducting large-scale military exercises alongside U.S. Marines in the backdrop of the expected invasion of Idlib, the nation’s last rebel stronghold. 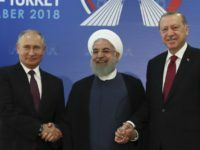 AMMAN – Turkey has stepped up arms supplies to Syrian rebels to help them stave off an expected offensive by the Syrian army and its Russian and Iran-backed allies in the northwest near the Turkish frontier, rebel sources told Reuters. 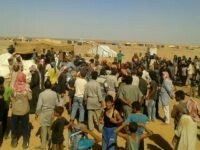 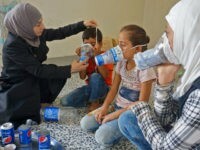 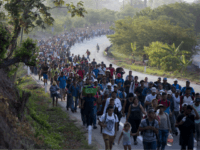 The U.N. Office for the Coordination of Humanitarian Affairs (OCHA) said on Monday that over 30,000 people have already fled their homes in the Idlib province of Syria, as dictator Bashar Assad and his allies in Russia and Iran step up air and artillery strikes. 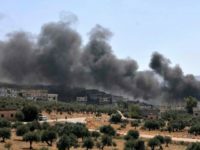 BEIRUT — Russian airstrikes on Syria’s last major rebel bastion Saturday were the “most violent” in a month since Damascus and its ally Moscow started threatening it with an imminent attack around a month ago, a monitor said. 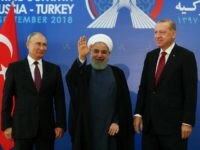 The presidents of Russia, Turkey, and Iran met in Tehran to discuss Syria policy on Friday, even as the first round of airstrikes in a massive campaign to capture the last major insurgent province of Syria was launched. 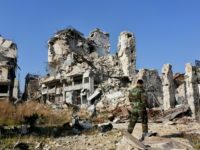 Russia issued two warnings to the U.S. military this week that it plans to join forces with the Syrian government and attack an area where American troops are stationed. 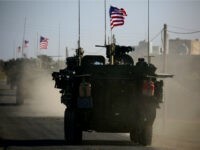 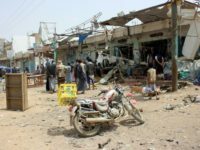 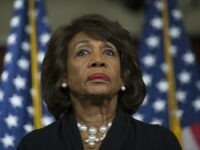 U.S. officials responded by saying American troops will defend themselves. 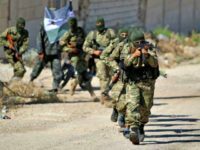 The Turkish military is struggling to keep up operations against the Syrian Defense Forces (SDF) in northern Afrin, a group primarily made up of the U.S.-allied Syrian Kurdish People’s Protection Units (YPG/YPJ). 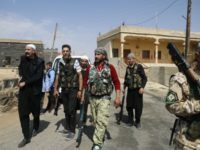 The prolonged operation in Kurdish territory has limited Turkey as it prepares to protect Sunni Arab civilians in Idlib awaiting an imminent operation by dictator Bashar al-Assad on Wednesday. 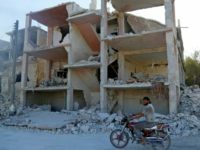 Syria and Russian forces prepare to ‘clean out’ the ‘terrorists’ in Idlib ahead of massive bloodbath.